Way back in 1979 when I was 19, I 'discovered' photography. I was bored one night and walked into my local library, not knowing what I was doing in there, but found myself in the photography section. After perusing a couple of books I found The Pentax Way. It was a hands on book about Pentax cameras and lenses and one particular section caught my eye and is still vivid in my memory to this day. It was a couple of pages of photographs taken from the same spot but with lenses from wide angle to telephoto. This fascinated me because until that moment, I thought all photography had been taken on a Halina 126 camera, which is what my parents had in a cupboard drawer. Hilarious eh! So, on lending the book, I set out to learn all I could about photography. My first purchase though was the tank like built Zenith camera. Not sure which model it was - the one that chewed up my film while rewinding it! It was such a frustrating camera to use. But this was also my entry into 'monochrome'. Black and white films made by Ilford. I think mostly they were the FP4 125 ASA (ISO) and HP5 400 ISO films. To be honest, I had no idea what the two did at the time - it really didn't sink in that they were for different light situations. But everyone has to start somewhere! 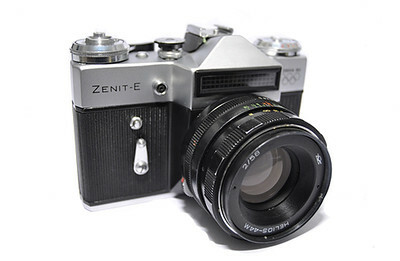 But back to the Zenit. I persevered with my camera that consumed film. And I tried developing them too, but when you get half way around the film spool and find a rip in the middle then you just know it isn't going to work. 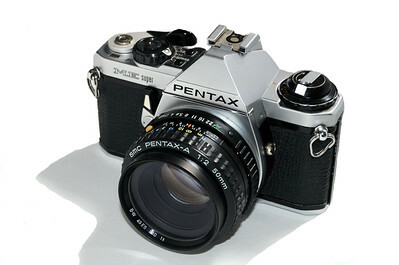 By 1982 I had bought a Pentax ME Super because of the frustrations of losing too many films. This was a wonderful camera and state of the art in its day. Was super light and had a lovely 50mm f1.8 lens with it. I carried on buying the Ilford films and purchased loads of darkroom equipment too. But my photography was rubbish! I'm sure though that if I walked about with the Pentax today, my photos would be a thousand times better, but times have moved on and so has my camera. So after a period of not doing any photography at all - maybe 10 years - I took it up again when I returned to college to gain a HNC. That was in 1999 and that also changed my life. It was also when I was introduced to Mac computers and stock photography, but will leave that for another blog entry. After college, I went back to trying my hand at developing black and white and bought loads of different films like Pan F, SFX 200, XP2 and Delta but also bought a Mamiya 7, so the films were medium format. 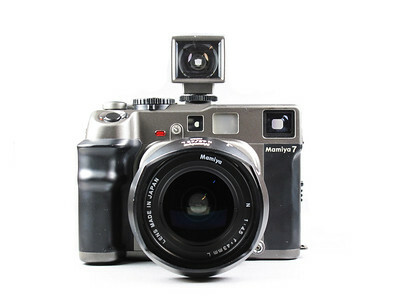 What a beautiful camera that was and so silent - the release button was very sensitive, hardly any touch to it. Sometimes I thought I hadn't actually pressed the button so took it again! 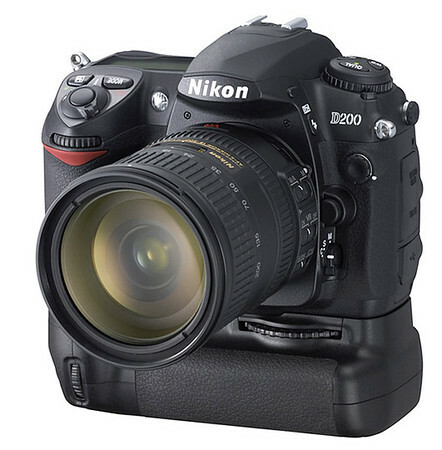 Great camera and amazing 65mm lens that went with it - wish I still had it. But after a while, I found the whole process of taking ten shots and developing films was getting time consuming and frustrating when things went wrong, usually developing them through various unforseen faults. So the camera went and so did my enlarger and developing gear. Those early photographers were extraordinary in their patience! So, fast forward to 2014 and after having damaged my trusty Nikon D200, I received a Fuji X-Pro 1 to replace it. Not exactly like for like and as mentioned in a previous post, not really liking it at the time but after a while accepted its foibles and started getting into photography again. I'd found the square format option using this camera but hadn't tried it with black and white. That came after buying the XT-1 and hiring a 56mm f1.2 lens from Calumet in Manchester. I took a trip to Barcelona and during a visit to the Sagrada Familia the 'light bulb' moment happened and have been enjoying taking black and white shots since. And combining it with the now free Nik software collection and especially Silver Efex, have started producing some great images again. The futures bright - the futures black and white!